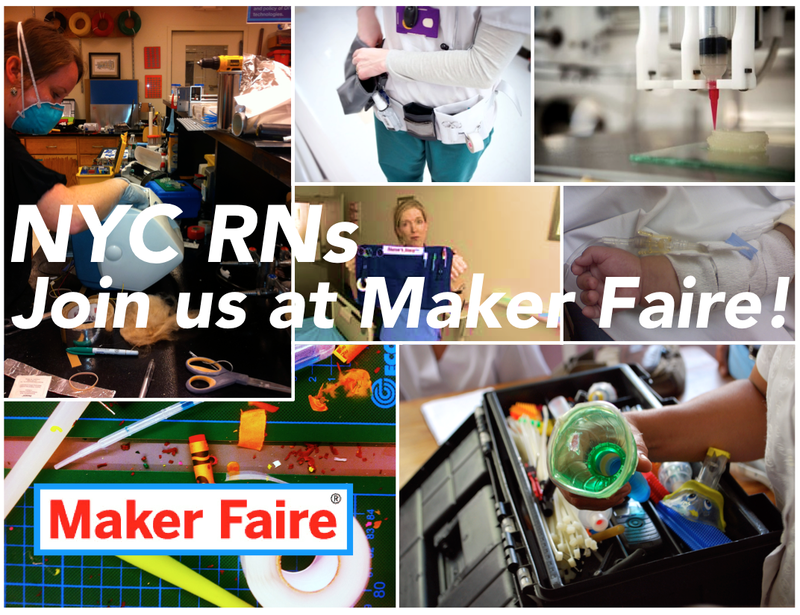 Attention NYC Nurses: Join us at Maker Faire! Special note to our new nurse readers: Welcome! We’d be thrilled to have you over at Maker Faire. We have some limited tickets to give away. Send us a picture of something you’ve made or want to make in the ward that can improve the care of patients! At our Sunday panel session, we’ll be discussing the stealth ingenuity of nurses in America and announcing an exciting new initiative with the Robert Wood Johnson Foundation. Join us at 2:30pm on the Innovation Stage. Link to talk here. Are you a nurse? We have some limited free tickets if you send us a creative hack that you performed on the job. We’ll also have the team from Little Devices Lab on hand in the exhibit hall to answer any of your questions about medical making. Stop by and say hi! More details on the exhibit here.